SMRPG fake screenshot from GameMag (not sure if that's the name of the actual magazine) but it seems they might have a reputation for making fake screenshots. 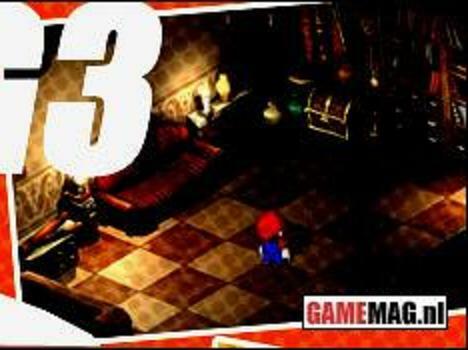 "I don't know if it's fake or not but it shows Mario in some dark room that looks like an old version of Booster's Tower.. If it's supposed to be some kind of Resident Evil knockoff or it's from another game i'm not sure, you be the judge." To be honest, I'm not sure what to make of this picture without reading the article, of course. If you have any tips for this picture, feel free to email me right away.